Five Star Structural Concrete HTR is a unique high temperature resistant concrete repair material which can be pumped or poured into place. 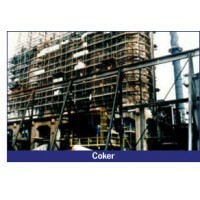 Five Star Structural Concrete HTR gains strength rapidly and can be exposed to 1000°F (538°C) in three hours and up to 2400°F (1316°C) after a 7-day curing procedure. Five Star Structural Concrete HTR Shotcrete is a unique high temperature resistant concrete repair material which is applied by dry process shotcrete. Five Star Structural Concrete HTR Shotcrete gains strength rapidly and can be exposed to 1000°F (538°C) in three hours and up to 2400°F (1316°C) after a 7-day curing procedure. 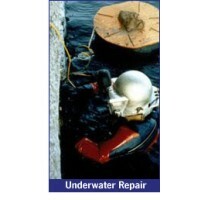 Five Star Structural Concrete® Underwater Hand Pack is a rapid strength gain, single component, permanent concrete repair material intended for underwater application by hand or trowel. 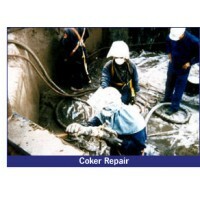 This concrete repair material allows small volume hand placements with minimal underwater washout. Designed for placement in tidal zones and underwater, application thickness may range from one-half inch (13 mm) to several inches in a single installation. Five Star Structural Concrete® Underwater Hand Pack provides corrosion protection of steel reinforced structures with migrating corrosion inhibitor technology and very low chloride ion permeability.